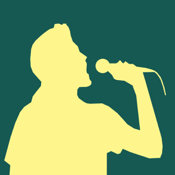 Gig Track is the Professional Backing Track Player for all musicians and performers, whether gigging or rehearsing. Use backing tracks? Own an iPad/iPhone/iPod? Then Gig Track was designed for you! Gig Track is used by singers, guitarists, duos and all types of musicians, dancers and other performers. On stage, in the studio, in your bedroom; if you use backing tracks, Gig Track will take care of your performance, rehearsal or practice sessions. No more long pauses between songs while you search your mini-discs or compact discs. Get noticed for your professionalism and smooth performance! Gig Track will install onto all your Apple devices with a single purchase. Simple, reliable and professional! Everything designed to stay out of your way and let you focus on your performance. Still not convinced? Visit our website for more details, videos and more. Support options have been built into Gig Track so you can ask any questions you might have, please do so and we will help you get the most from Gig Track.